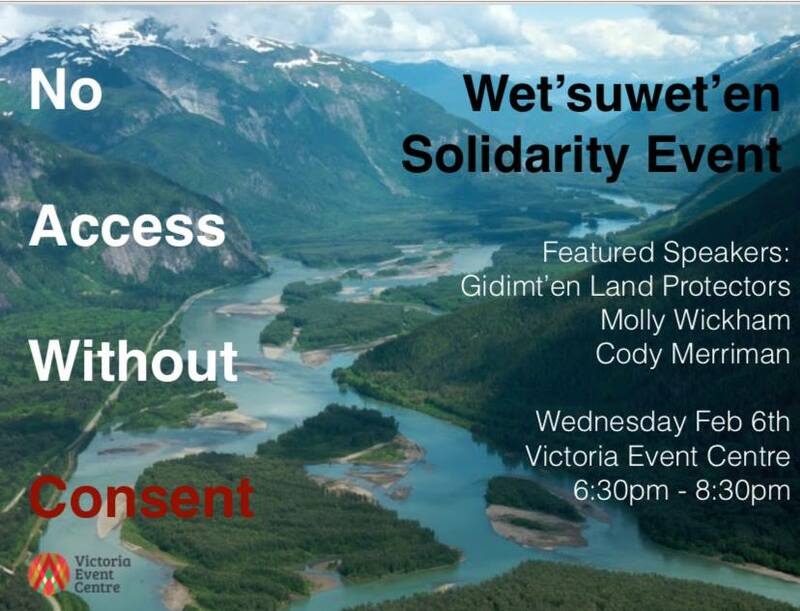 Molly Wickham and Cody Merriman will be speaking about the RCMP invasion of their territory and the ongoing struggle to protect the Wet’suwet’en yintah (land) from oil and gas infrastructure projects. The Victoria Event Centre currently does not have an operational elevator, and there is one long flight of stairs at the venue entrance. If you would like to attend the event but require assistance with accessing the space, please contact us at events@victoriaeventcentre.ca and VEC staff will do their best to accommodate.